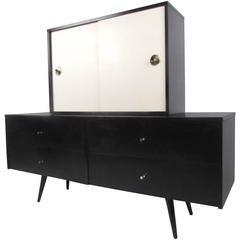 This vintage Paul McCobb Perimeter Group credenza features double-sided cabinets, drawers for storage, and unique ebonized finish. 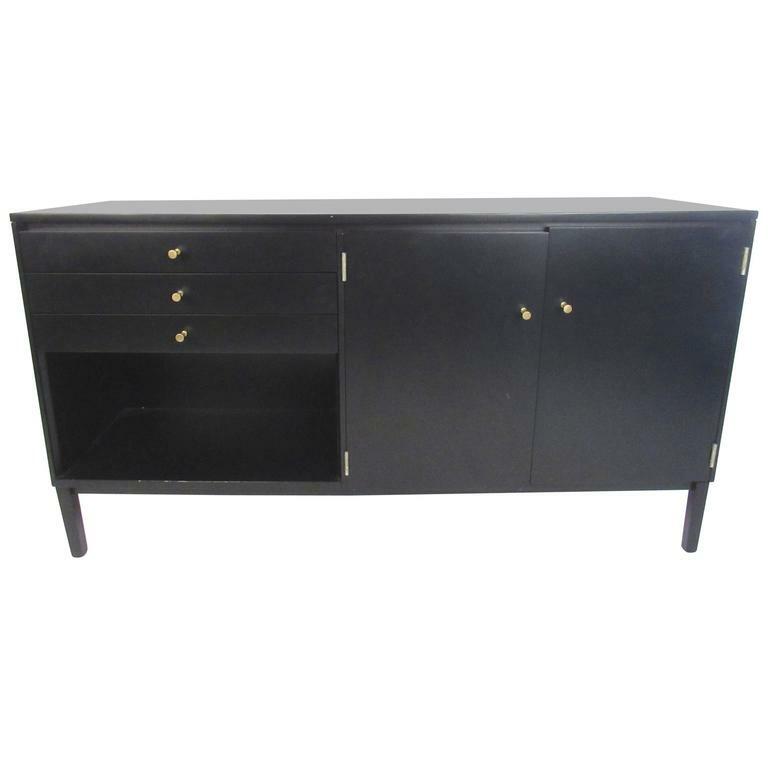 Classic McCobb drawer pulls add to it's unique Mid-Century appeal. 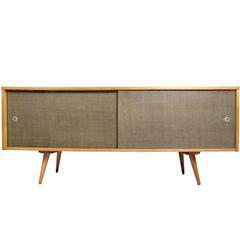 Perfect piece as an office room divider with two-sided access to storage. Please confirm item location (NY or NJ). 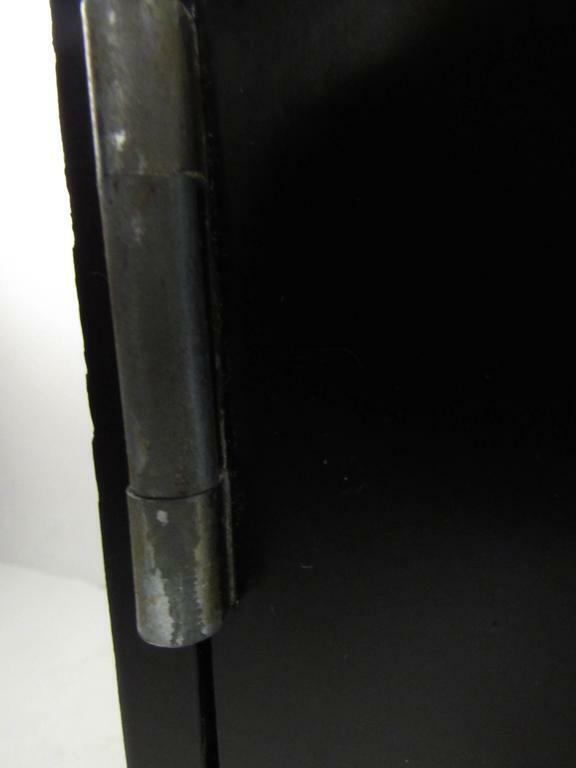 some age appropriate wear, minor scratches, edge wear, patinated brass pulls. 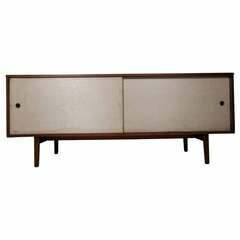 Paul McCobb “Irwin Collection” credenza for Calvin Furniture, circa 1950.